1667A North Main Street Ext. 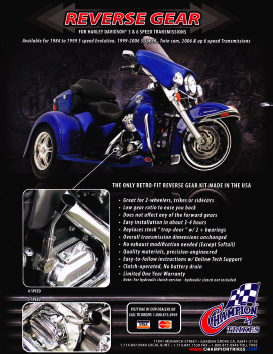 With a CSC-Trike® conversion you can be sure you're getting unparalleled performance with the most innovative and beautifully styled trike kits on the market. 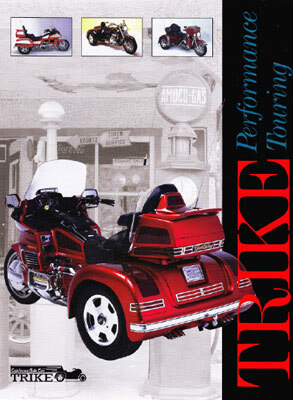 From the Sport, which set a whole new standard in the trike industry, to the newly released Custom Trike kit, which is truly the most innovative suspension and body design on the market, CSC Trikes continues to lead the way. 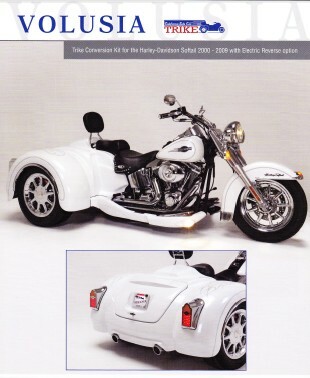 Whether you're cruising the interstate or tackling the curves, CSC Trike conversions inspire complete confidence in every type of riding condition. For over 30 years, CSC has earned an excellent record of performance, durability and safety. CSC's extensive experience in the industry means decades of research, testing and design of optimal performance equipment with knowledge and attention dedicated to engineering, safety and comfort. CSC works hard to provide loyal customers with a safe and smooth ride for thousands of miles across the world. Engineered for high performance and miles, CSC trikes, trailers and sidecars offers unmatched quality, precision engineering and design. Take a test ride and let us show you how we�ve been the most trusted name in motorcycle after-market engineering for over 30 years.